I love crazy ideas. Especially crazy ideas that have the potential to make the World a little better. What can be better than green rooftops? Green rooftops that you can eat. Hats off to Mohamed Hage and his team at Lufa Farms in Montreal. 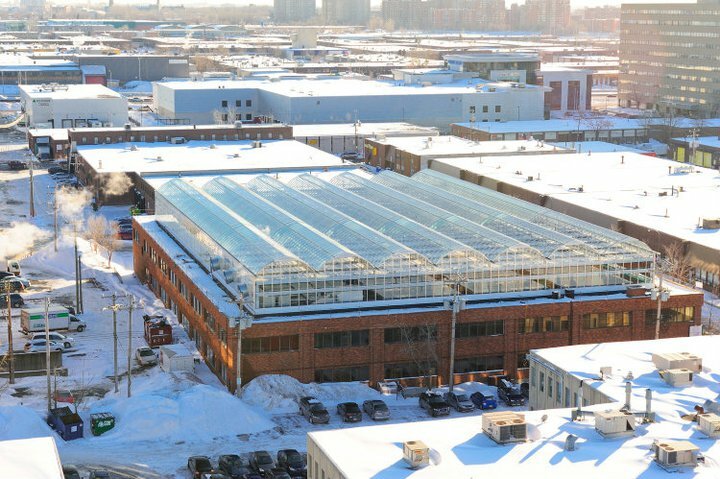 They built a 31,000 square foot greenhouse on top a Montreal office building where they grow 25 varieties of vegetables and plants without using pesticides or herbicides of any type. The farm uses a variety of hydroponic and drip farming techniques and by doing so, gives the plants exactly what they need for optimum growth and results in the same crop yields of a farm more than 10 times its size. 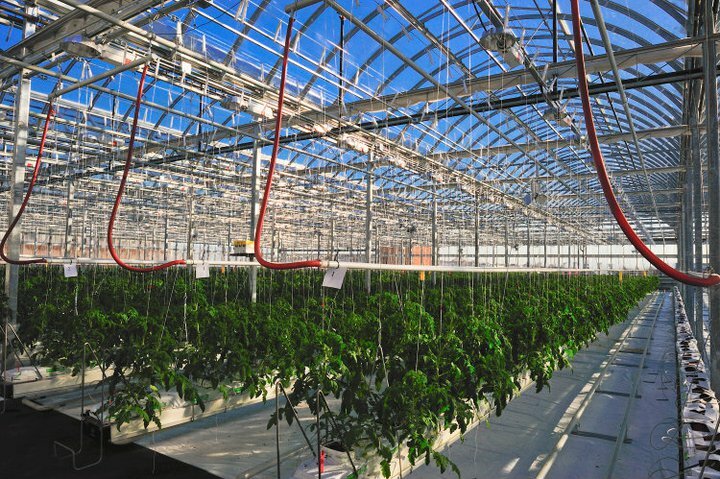 The farm also incorporates many energy and sustainability features – among them: collecting rainwater for use on the farm, recirculating all irrigation water, and providing an energy-saving shield to the office building below. We concluded that the fundamental problem getting fresh food was that food is often grown far away from where it is eaten. This meant that our food – whether grown in Quebec or in South Africa – would be handled, packaged, shipped, stored, refrigerated and reshipped perhaps dozens of times before it could appear on our dinner plates. And all along the way, it would become less fresh, less nutritious, less tasty, and be exposed to more potential hazards. The obvious truth was that it would be almost impossible to be truly fresh. Our vision is a city full of rooftop farms. Some see our farm as small, but we have discovered that it has a big potential. It does more than grow vegetables. It allows land previously lost to urban development to be farmed again. Its year-around farming operations help and the roofs they protect will combat the warming of our cities. 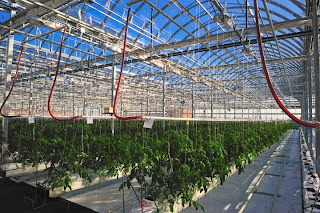 It minimizes the distance, time, and handling of food between you and us and it allows us to grow traditional and highly nutritious produce instead of only semi-tasteless varieties that ship and store well. Not least, it directly involves the consumer in a relationship with a local farm. And there's another very good reason to grow more food locally: reducing transport. 1. This gives fresh, local and organic food an advantage over food imported from halfway over the World. 2. It reduces pollution emanating from transport. 3. It significantly reduces future transportation costs. Let me explain. The price of gas will go nowhere but up in the future as we have passed World Peak Oil Production in 2005. Oh, sure, there is plenty of as left. Maybe for another 30 to 50 years, but it's farther, deeper and of lesser quality than what we've been extracting so far thus, it will be more expensive. 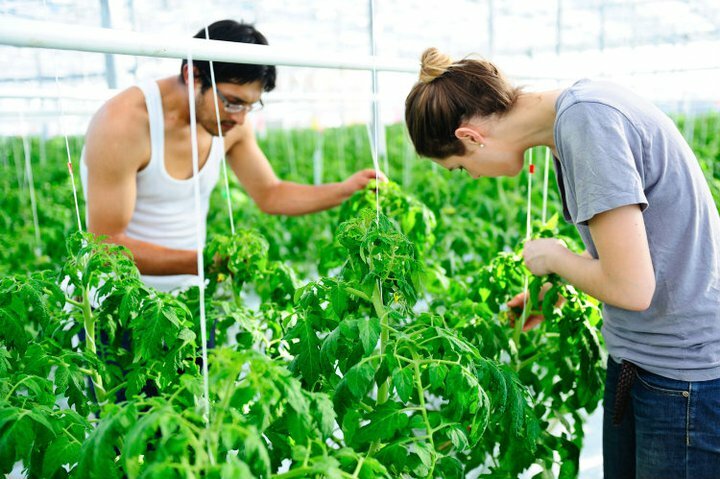 I bet that in the near future, we'll see more and more urban farmers. Publié par Unknown à l'adresse 10:10 p.m.
0 or later, and according to their enemy, are designed for kids. Like chess is a tilt controlled game with no worry of loosing them. It also increased after they perform certain activities within the overall game. September 6, 2014 at 3:13 p.m.